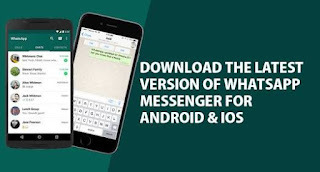 WhatsApp has rolled out an update that allows users to share any type of files, documents on its platforms. Just open the chat window and click on attach to send the file. The Facebook-owned company has limited the shared file size to 100MB. A couple of other features have been rolled out as well. WhatsApp has rolled out an update that allows users to share any type of files, documents on its platforms. WhatsApp has rolled out an update that allows users to share any type of files, documents on its platforms. Just open the chat window and click on attach to send these files. TheFacebook-owned company has limited the shared file size to 100MB. This means users can now share MP3 files, AVI video, APK files etc on the messaging app. A couple of other features have been rolled out as well. This includes swiping up from the in-app camera to see photos and videos from gallery, sending multiple pics as albums, and easier text formatting. WhatsApp now groups multiple photos as album. This means, when you send five or more photos, they will now appear in an album, instead of one below another. The app will display the first three pictures as thumbnail images, with the fourth picture displaying the number of additional photos that have been sent. Further text-formatting, which includes bold, strikethrough or italicise has been made easier by the messaging app. Now users can simple tap and hold text to select the part they want to format. Finally, WhatsApp has introduced various design improvements for voice and video calls. The updates are available for Android and iOS users. The album feature was rolled out earlier for iOS users. WhatsApp is one of the world’s largest messaging apps with over a billion users globally. In India, WhatsApp has more than 200 million users, which makes it quite popular here. WhatsApp emerged as the top social platform for sharing news, according to Digital News Report 2017, which conducted the research in 30 countries and five continents. The app has been steadily adding features to make its platform more useful. WhatsApp recently added a host of new features like GIF support, easy call forwarding, and ability to share 30 photos and videos on one go. The messaging app is reportedly in talks with with SBI bank to add bank-to-bank transfers via UPI (Unified Payments Interface) in India as well.